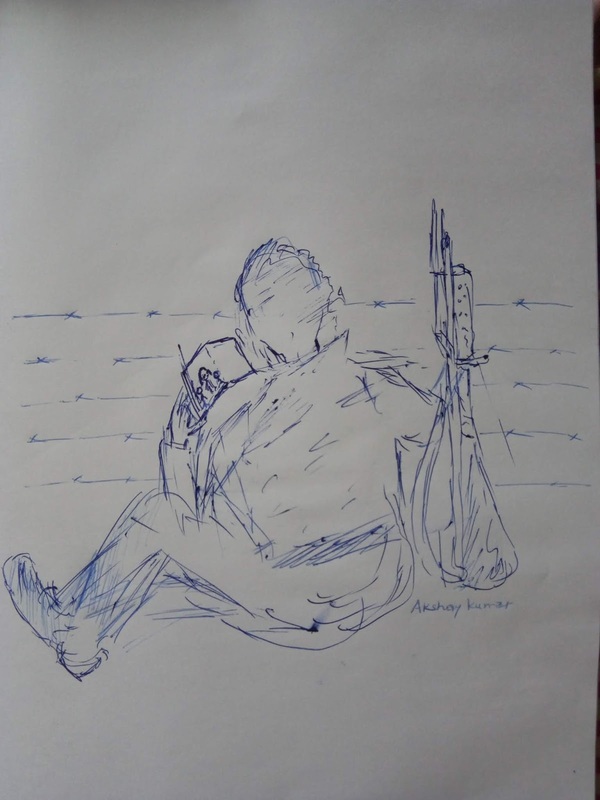 AKSHAY KUMAR: Drawing of a soldier sitting at border and missing family. Drawing of a soldier sitting at border and missing family. 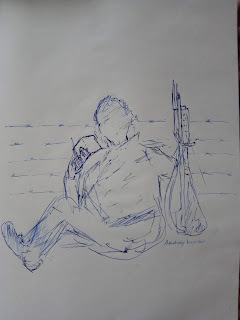 Drawing of a soldier sitting at border and missing his wife and children. He is holding gun in one hand and picture of his family in another hand. Made with ball pen.